Welcome to Badgerbrook Primary School. Badgerbrook is a popular primary school with a reputation for high standards of behaviour and achievement. We strive to create a special place where all children, parents, governors and staff feel valued and respected and work together within a happy, friendly and caring learning community. 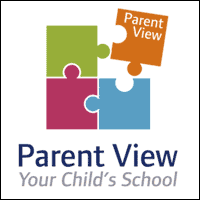 Parent View – Give Ofsted your view on your child’s school. This handbook contains general information about the organisation and day to day routines and procedures in school. Many teachers and classes use a website called Espresso in school. Now pupils and parents can enjoy using Espresso at home by logging on with a Badgerbrook username and password. To access Espresso from home you will need a PC or Apple Mac and a connection to the internet.